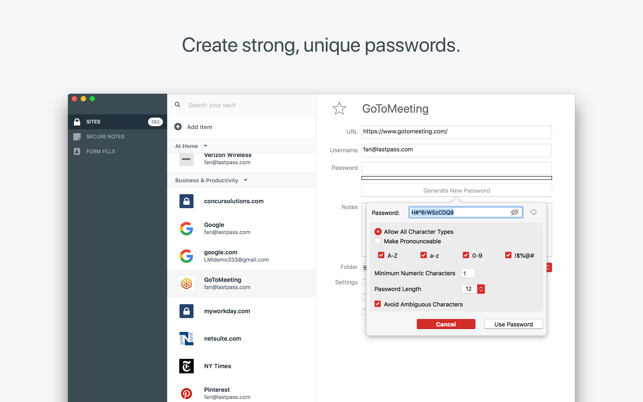 LastPass simplifies your digital life. 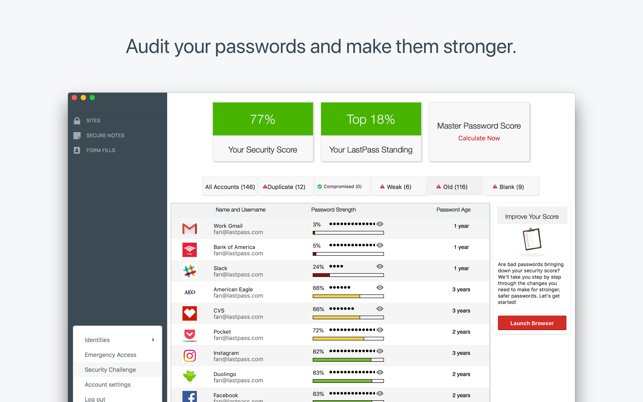 From your LastPass vault, you can store passwords and logins, create online shopping profiles, generate strong passwords and more. All you must do is remember your LastPass master password, and LastPass autofills web browser and app logins for you. 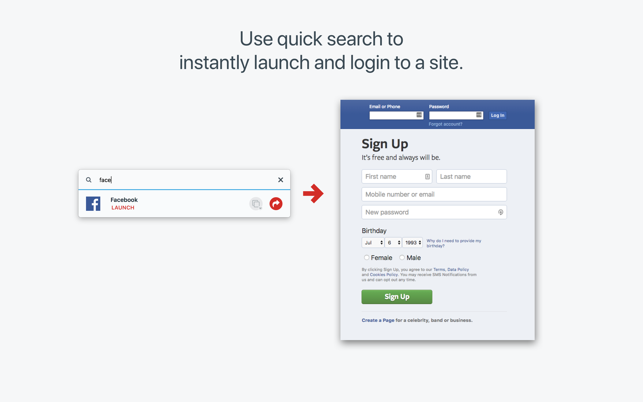 Download LastPass now and get started, completely free. You can use LastPass across all your devices, including phones, tablets, and personal computers, for free. - Plan ahead and give trusted family or friends a way to access your vault in case of an emergency. - Add security and require a waiting period during which you can decline an Emergency Access request to your vault. 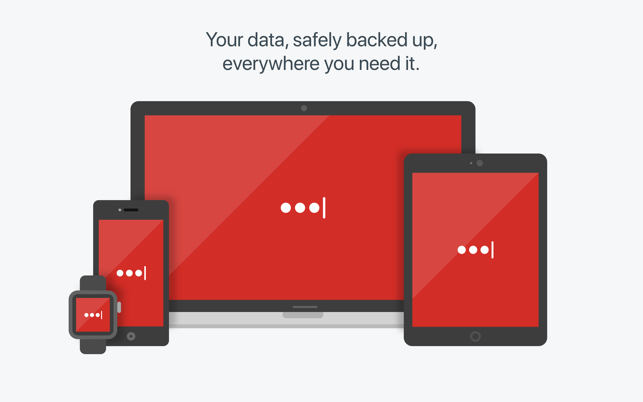 Business owners can download LastPass Enterprise to secure their business. Learn more at lastpass.com/enterprise. We have been working hard on our macOS app! This release includes a bug fix for improved password generator entropy. We continue to listen to your feedback, and will continue to work on improving the app. Let us know what you think! Please use our feedback channels to let us know if you have any questions. What a piece of junk. Offline access does not work. The browser extension version is invasive and searches the DOM of pages to find places to put the last pass icon to try and "help" you, wasting up to 5 seconds per page on this useless nonsense. There is no way to turn this off. If you don't like it and uninstall the browser extension, the Mac desktop app has even less support than the browser extension. I dropped my paid account like a hot potato when I discovered that offline access did not work, and I've only encoutered more bugs since then. The user interface of the desktop app is an awful, bug-riddled and quirky interface. It isn't just small problems though, it will discard any changes you've made to records (thus blowing away that new password you just set). It has inconsistent update behavior and weird select behavior. Generating a new password requies at least 10 clicks, some of them on very tiny little icons that don't even make sense. THe whole process is a total mystery. There is no quality assurance or testing being done on this app. I tried to teach my (60+ y/o) grandparents how to use this, to help them use a password manager and get security smart. LastPass was so awful that they gave up and ended up using a piece of paper and a pencil. Thanks for promoting worse security through bad design. Other applicatons work better and are less FRUSTRATING! I just started a new job, and my company offers LastPass as its only approved password manager. This application and chrome extension are terrible. The interface is not intuitive at all, the application and extension don't seem to talk to each other. Meaning you can have the application open and launch a website but the LastPass chrome extension isn't' logged in and will re-prompt you for your master password. I have tons of URL that are uniquely named but have the same domain...last past CONSTANTLY populates the wrong usernames and passwords with a unique URL's. When I change a password, the application does not always recognize that a password change and will not prompt you to save it...even though you used it to generate the password for you. I'm constantly having to double re-set passwords and then manually edit my LastPass entry with the updated password. Instead of using this application I've resorted to keeping an encrypted document on my desktop with my passwords on my desktop as its faster to cut and paste than use this tool. There are other tools that work much better thant his one, I assume its popular becuase its free for most users. When I first downloaded the app and became a premium user straight away, the app was semi-ntuitive and worked most of the time on my lap tops. On mobile hoewever, it was a nightmare to use, it did not autofill and could not save login details for mobile apps. They tried to solve the autofill problem for mobile which worked for a while, but with my latest iphone XR running IOS12.1.4, it has become worse than before. It prompts the autofill without actually being able to do so and on the rare occassion you get the lastpass app to pop up, it makes you search for the app and then populates the fields with what appears to be ghost characters i.e. you cannot see them but the field behaves like it has been completed. All this while, their desktop experience has become worse. With many of the issues aready detailed by others on this review page. THE CLINCHER though is the fact that they WOULD NOT ISSUE ME A REFUND for inadvertently renewing their subscription twice in August 2018 for a year each! So I have basically paid double for a year's worth of the same service in respect of one account! Copyright © 2008-2018 by LogMeIn, Inc., All rights reserved.